Email info@jostheotter.org to be Added to the Newsletter Notifications! If you want to see the most updated information & pictures from our events, ‘like’ our Facebook page (www.facebook.com/joshtheotter)! 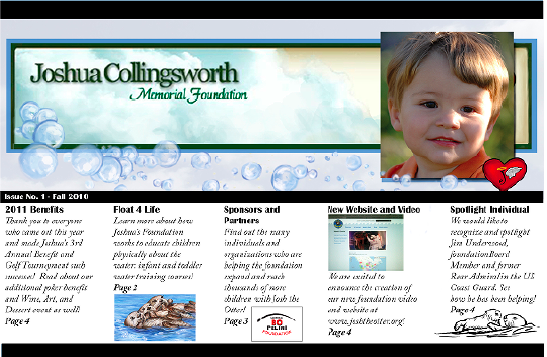 Click on the pic to download a PDF of our 2011 Newsletter!